Imagine having the ability to offer yourself and others a soothing, gentle, effective healing treatment at any time, any place . . . with ease. No equipment necessary. Help for emotional and physical issues. All at the touch of your hands. That’s what you’ll be able to do once you attend the Welcome Home Retreat Reiki Training and Restorative weekend April 5 – 7, 2019. Need a Retreat to Restore? Want to take home something that will restore you and others from now on? Join us for 1st and 2nd Degree Reiki Training. Learn to do Reiki for yourself, your family, your friends, and your home. Please note: space is limited to 27 people. Welcome Home is a ladies retreat center, so this class weekend will be a ladies only event. Arrive at Welcome Home Retreat on April 5th from 9:00 – 11:00am. Get settled, meet the hosts and relax. Reiki class begins after lunch with discussion and learning about Reiki energy. Enjoy dinner and a restful night’s sleep. Start the morning with a healthy breakfast, the morning will be spent on the 1st degree of Reiki. We will have treatment tables available for the class. All you need to bring is yourself and a willingness to participate. The afternoon with focus on the 2nd degree of Reiki. By the end of Saturday you will be attuned and certified as Reiki 1st & 2nd degree practitioners. 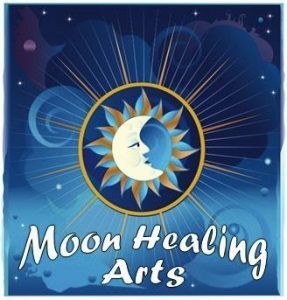 With all the skills you need confidently in your hands to offer effective healing care to yourself and to others. There will be lots of hands on practice and attention to ensure your comfort and progress. After breakfast, you will have the morning to spend as you wish – practicing with one another, resting and assimilating the energy shifts, relaxing. Your host, Jackie Reynolds LMT, CRMT will be available for those who wish to schedule a restorative massage. Lunch is served on Sunday. Located in North Texas, Welcome Home Retreat is a ladies crafting retreat (and Reiki Class retreat for this weekend) just 3 miles south of Weatherford, Texas off Tin Top Road. We are on 6 acres of ranch land bordered by a creek on the east side and a large pond on the west side. Our neighbors include longhorn cattle who are curious about guests across “their” fence and plenty of wildlife such as chickens, turkeys, road runners and an occasional deer. You may even get to meet Hamlet the pig out on one of his walks. Guests can enjoy an afternoon on the porch in lazy rocking chairs exchanging long return stares with these native Texans or capturing a picturesque moment at sundown. In case you need to cancel: If you need to cancel 60 days or more prior to class, you will be refunded the full class amount via PayPal. If you cancel within 30-59 days you will be refunded the full amount less a $75 fee. Less than 30-day cancellation is not eligible for refund. If I need to cancel or reschedule the class, I will refund your payment via PayPal.